Anna Centenary Library conducts Orientation Program for Competitive Exams Aspirants on every Sundays. 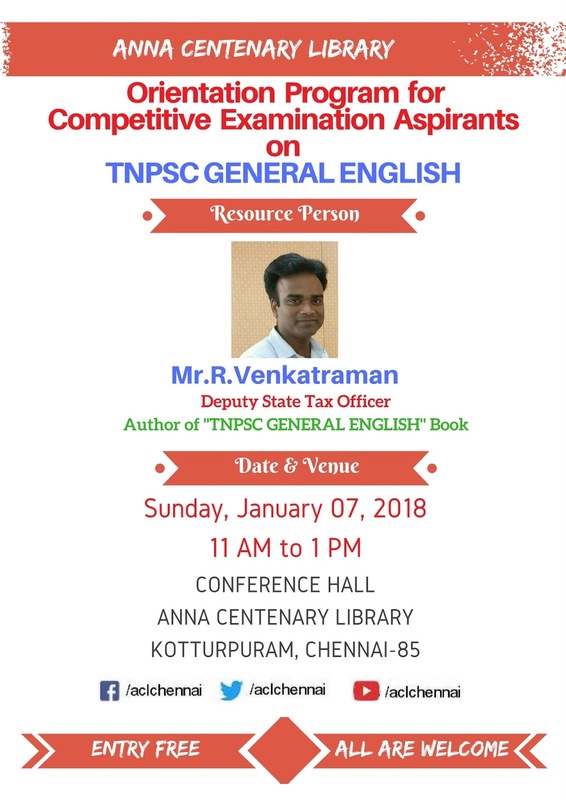 This week Mr. R. Venkatraman, Deputy State Tax Officer, will be the resource persons. Entry Free! All are Welcome!..